InventHelp®, America's leading inventor service company, announces that one of its clients, an inventor from Maryland, has designed decorative panels for outdoor fences. This invention is patented. "Outdoor Adventures" would display eye-catching, colorful designs for a tranquil effect. The fence panels could be set up around swimming pools, patios, gardens and other areas in a front yard or backyard. The item would dress up a plain outdoor area around churches, pools, schools and tennis courts. The invention would be durable and weather-resistant and easy to install. 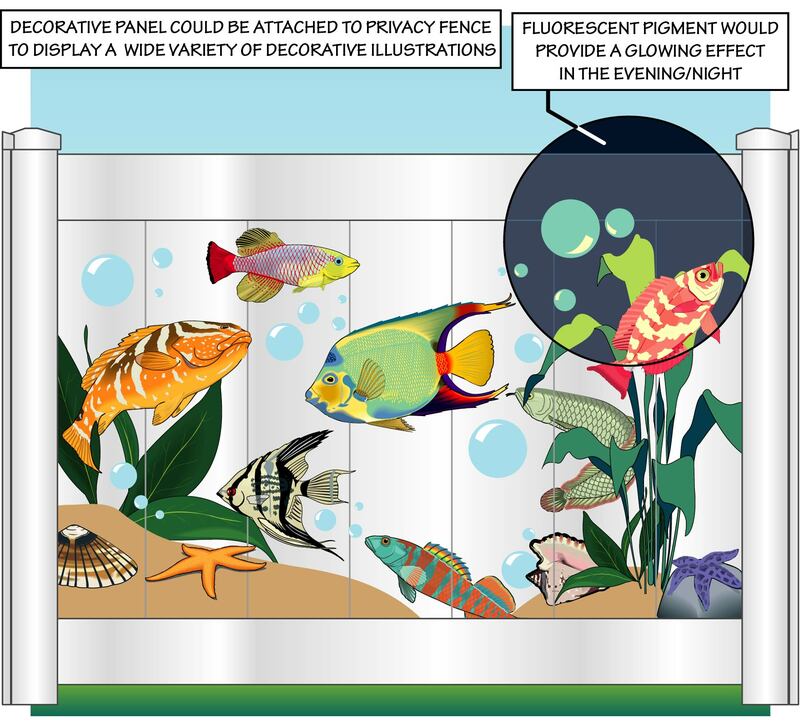 The Outdoor Adventures would consist of an outdoor design panel that would feature iridescent and reflective, solar-charged "stars" or "bubbles" that glow at night. The lighting element would be powered by a battery linked to a solar cell. The solar cell would use a sensor to regulate the power to the lighting elements. The lighting elements would be powered by a rechargeable battery, which would be attached to a photovoltaic cell. The nighttime glowing effect would be created by minimal light-emitting diodes that would bring out the fluorescent capabilities of the fluorescent pigment. The styles would include the solar systems, dinosaurs, undersea motifs and more. The design could be integrated into decks, gates, sheds and vinyl fencing. InventHelp® is attempting to submit the invention to companies for review. If substantial interest is expressed, the company will attempt to negotiate for a sale or royalties for the inventor. For more information, telephone Dept. 05-ROK-532 at (800) 851-6030. Learn more about InventHelp® and their Invention Submission services at http://www.inventhelp.com.